Lots of “News” and “Features” have come your way over the past few years. 2016 into 2017? Are we “drifting” into another year? Hardly! Each year is unique, better, special … to be savored. How? It begins and never ends … with the heart! Regardless of exciting things brought our way in adventure and new establishments in TCD, if our heart is not growing and expanding in infinite love, we have little to nothing to talk about. This is crucial! Our hearts are expanding. Our hearts ache for the whole, the true and the good for those we help in Eastern Europe and C./S. Asia. We greatly desire our hearts expanding into your lives also, knowing as we draw close to you, mutual encouragement will expand to our other personal relationships locally and around the world. 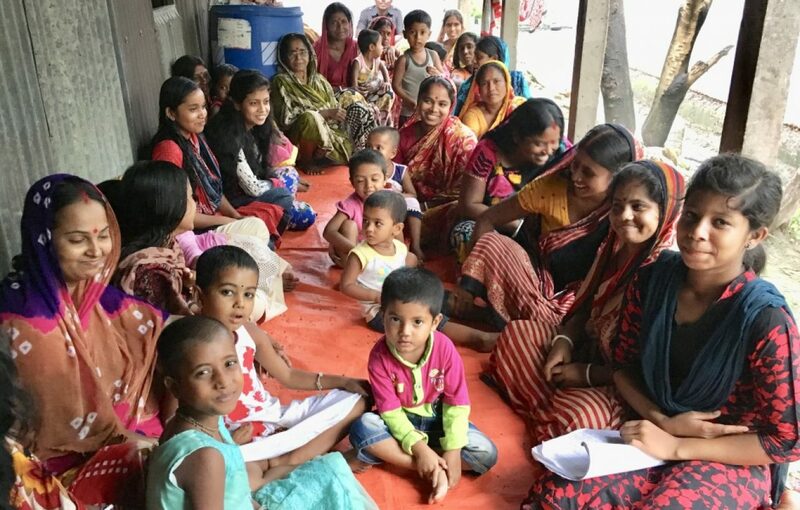 Bangladesh: TCD-Transformational Community Development in Bangladesh is allowing wholistic growth among many children, youth, and their parents. N. Bangladesh is especially seeing healthy progress in the villages they labor in. Our TCD team is passionate in their faith in their communities, as they focus on children’s K-8 educational and vocational needs leading to self-sustainable lifestyles! Armenia: Our “House of Esther” refugee center in Spitak, Armenia is taking shape and adding refugees as funding and accommodations allow. My work there this summer helped me understand the unique needs of war-torn lives, as most are from Syria. Open doors are there to see lives transformed in love and provision that leads to self-sustainability. TCD agriculture and a possibility of a fish-farm reproductive system will help to move this center forward into self-sustainability and wholeness. Serbia: Snezana and her local community and longing to help impoverished Roma communities has won our hearts. Financially, her TCD budget has struggled in ‘16. Regardless, she is faithful to work with and win the hearts of those she loves and relates to in the gypsy villages of South Serbia. The monthly reports I receive and edit in route to the GHNI office are nothing short of spectacular, as she and her team co-labor in those villages, expanding their ability to become self-sustaining. Đorgovska Mahala village in one year, is not the same! Nepal: Earthquake of ’15 in Nepal was devastating on a multitude of levels. Our GHNI National Director, Kiran and his team have in ’16 been able to focus in villages most willing to embrace TCD as their means of recovery, becoming self-sustainable. Having started several organizations and orphanages, and worked for “non-self-sustaining” NGO(s), Kiran is skilled, experienced, and impassioned to carry through in TCD principles he knows will bring the very best to these chosen villages. ’17 brings a team from the USA to help in training key nationals who will in turn be equipped to carry through TCD mentoring to yet other nationals. As you know, GHNI works in many regions of the Middle East, Africa, Asia and now Eastern Europe. My work-focus in S. Asia and now in E. Europe and C. Asia is stretching and getting much more involved. We are grateful for your supporting us as a GHNI team and as the Emig family! Global Hope Network International 934 N. Magnolia Ave. Suite 310 Orlando, FL 32803-3840 Noting: “Preferred for Emig family” Thanks! Nora, Jonathan, Bryan and Eliana are doing so very well! Nora’s new position at Dillard’s has provided income, as well as an excellent team she works with. Stamina and discernment are her needs, that she would be able to handle home and work responsibilities as I travel frequently. I am honored to have her as my life-mate and mother to our children! Jonathan is a sophomore at CSU, and is progressing well in engineering(electronics/software focus)! His accomplishments and energies as he excels in academics and his entrepreneurial dreams, now having his own LLC in web development, are fun to watch. We are honored to have him as our son! Bryan is a junior in high school and working hard to finish early so he can focus well on a truly professional aim at snowboarding. His soccer season was again excellent, as he personally scored numerous goals and his team went again to playoffs. He excels in many areas of life. We are honored to have him as our son! Eliana is in her 1st year of high school and “for her” enjoying it! We’ll not over-extrapolate here, just in saying she is entering new and exciting territories of “enjoyment” of school. 🙂 She is ever-increasing her love of horses and recently hit the 2’3” mark on her English-style jumping. We are honored to have her as our daughter! Thank you for your love for us, and for undergirding all we are and do! It has with you, been a truly remarkable and great year in 2016! Immeasurable grace and love will assuredly abound in 2017! Joyful Christmas and a truly prosperous New Year in 2017 to you! I loved going through these times and areas. Actually stayed up till 2 am one night trying to take it all in with the little pictures at the bottom to guide me.